At Native Health Society. No registration required. 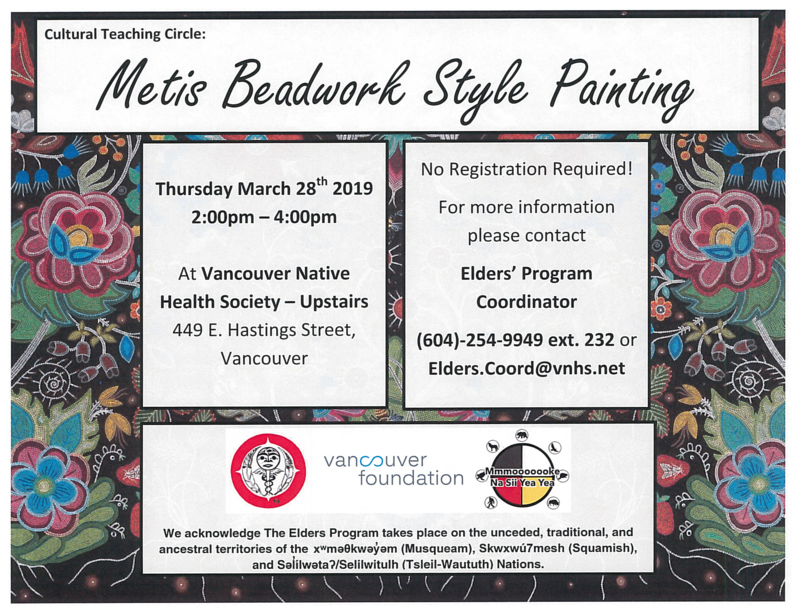 For more information contact Elders' Program Coordinator 604-254-9949 ext. 232 or email Elders.Coord@vnhs.net.